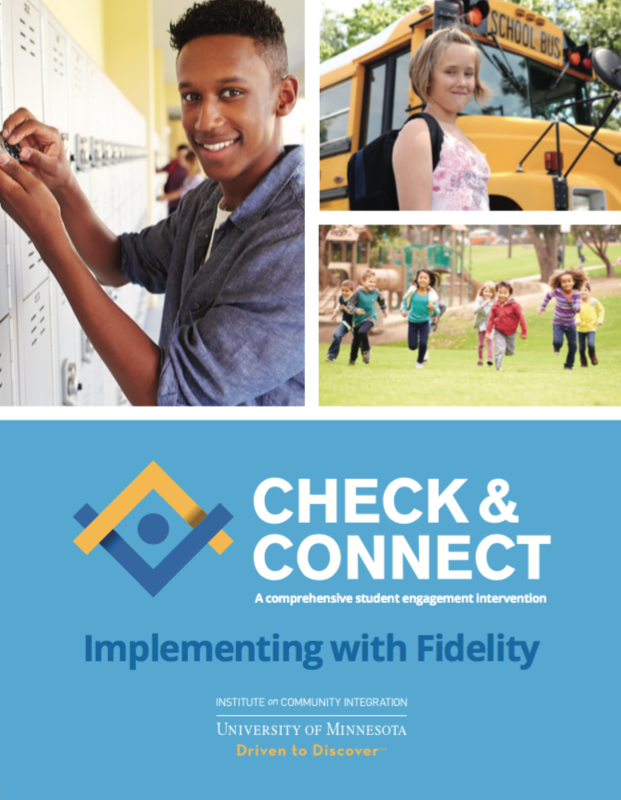 Check & Connect Fidelity of Implementation Follow-up is a workshop designed for sites already implementing Check & Connect or components of Check & Connect. Coordinators, mentors, and other stakeholders join a Check & Connect trainer for an intensive 1-day reflection and professional development session designed to identify and celebrate what is working well, address priority skill development areas, renew commitment to Persistence Plus — a key element of Check & Connect — and plan for continued fidelity of implementation. Check & Connect coordinator(s), mentors, and other student support staff working with Check & Connect. Cost is determined based on each site's specific needs. Limited to 30 participants. Complete our online Training Inquiry form or contact us at 1-866-434-0010 or by email at checkandconnect@umn.edu.